There's not much joy in the Australian government's 2017 budget for Foreign Minister Julie Bishop, for Australia's international engagement, or for long-suffering staff at the Department of Foreign Affairs and Trade (DFAT). The headline development, foreshadowed a few days ago, was a cut of $300 million from the official development assistance budget to pay for 'the largest funding boost to the AFP's domestic policing capabilities in more than a decade', underlining the Turnbull government's 'commitment to a safe and secure Australia'. The funding will be allocated to the Australian Federal Police and intelligence agencies ASIO and ASIS in order to 'strengthen key tools and increase investigative resources such as intelligence, covert surveillance, forensics and tactical response capabilities'. My colleague Jonathan Pryke examines these cuts in detail, but suffice to say this latest blow will strip Australia's aid budget to its lowest level in history. It follows the 20% evisceration of the budget (of $1 billion from the then-budget of $5 billion) in 2015 and a further $200 million cut in 2016. This was not expected and will obviously not be welcomed by many. The aid cuts have been euphemistically styled 'maintaining the level of Official Development Assistance' in the budget papers but no amount of rubbery language can spin these cuts as anything but miserable. The pain of government cuts this year is not shared equally across the government sector. Overall, general government spending is up nearly 3% in 2017-18 and around 16% over the next four years. Spending on the foreign affairs portfolio, by comparison, is down 17% this year and 3.4% in real terms across the four-year forward estimates. Defence continues to receive generous funding in line with the government's goal of reaching 2% of GDP in 2020-21. The chart below shows funding trends for the three key international agencies over the last five budgets and the forward estimates. In terms of where government priorities lie, this picture is worth a thousand words. Defence is booming, aid is ailing and DFAT is flatlining. Foreign Minister Julie Bishop has been valiant in her efforts to build Australia's international engagement, particularly its overseas network. Since 2016, she has addressed Australia's 'diplomatic deficit' by augmenting our embarrassingly small diplomatic network and adding new posts in Doha, Makassar, Phuket, Lae, Surabaya, Tehran and Rabat and upgrading posts in Bogota and Ulaanbaatar. As the chart shows, DFAT has largely funded these from its existing resources. The Minister has been less successful in protecting her department. In real terms, its overall funding has barely moved for several decades. DFAT's staff have endured a turbulent few years. The merger of AusAID into DFAT in 2013 created massive disruption and a reduction of 10% of its staff. Morale plummeted. And there is more to come. The real sting in the budget (apart from the aid cuts) is heralded in the 'cross-portfolio' measure 'Overseas Allowances for Australian Government Employees — efficiencies', announcing savings of $37 million over the next four years by 'standardis[ing] overseas allowances for Australian Government employees'. The idea is to ensure that allowances 'better align with community expectations'. In other words, that they pass the 'pub test'. This is the result of a review of allowances for overseas staff, overseen by DFAT. Its Secretary, Frances Adamson, stated in Estimates hearings in early March that details would be released after the budget. The review affects 28 agencies with staff posted overseas, but the majority of those are DFAT diplomatic staff at its embassies and consulates. Of the $37 million in savings, $21 million will be borne by DFAT. The sorts of allowances at hand are accommodation costs, flights, family reunion costs, and contributions to education and childcare. According to rumour, on the chopping block for the post-budget announcements are household assistance costs, which include childcare. If true, this would have the perverse consequence of forcing DFAT employees overseas to pay in full for childcare accessed abroad, without any of the government childcare assistance payments (such as the childcare rebate) that they would be entitled to if they were working in Australia. And diplomats posted overseas pay tax in Australia. If this rule were applied to only new postings, while protecting the allowances for those on current postings, the outcome would be an awkwardly unequal treatment of staff at Australia's missions overseas and no doubt create friction and disaffection. It's also unclear whether such household allowance cuts would apply to other Australian officials posted overseas, including police and military. Diplomacy has never been a nine-to-five job. Much of it occurs at evening receptions, weekend functions and late-night meetings necessary to get on top of international incidents and crises. If the costs of self-funded childcare on overseas postings (much higher in some places than others) are prohibitive, then diplomats may be far more constrained in performing their functions. More worrying, these sorts of changes affect women more than men. DFAT, like other agencies with international operations, struggles to achieve anything approaching gender equality in its senior workforce. With a 58% female workforce overall, only 36% are at the senior executive level and only 20% of its heads of mission abroad are women. Much of this has to do with the difficulty of sending women with families overseas, and the rules governing whether their spouses can access paid work while abroad. If anything, the goal should be to ease the burden of relocating an entire family (or separating a family where it's too onerous on older children to move schools in the senior years). What appears to be proposed in this review is exactly the opposite of that. This latest assault will help neither morale nor DFAT's diversity agenda and workforce composition. The savings proposed by the measure ($21 million) represent just 0.4% of the budgeted expenditure for DFAT over the next four years. 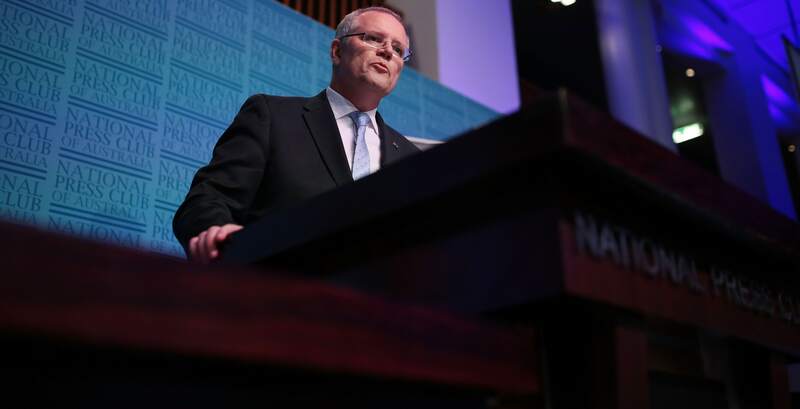 The goal of the allowances review, the budget papers assert, is to 'facilitate the deployment of staff in pursuit of Australia's interests internationally'. For the potential cost in staff morale and goodwill (unlikely to promote Australia's interests internationally), it hardly seems worth it.